Beard Vape Co No. 32 E-Liquid is a deep and rich flavour, combing funnel cake and cinnamon for an indulgent blend that you will never get bored of. 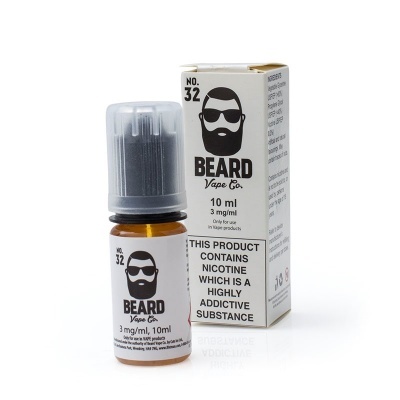 Beard Vape Co began in the back of a shop in California with a row of 100 numbered bottles ready for sampling. Chosen by the public for their flavours, the numbers stuck for names and No. 32 was one of the top flavours that made it through to production. No. 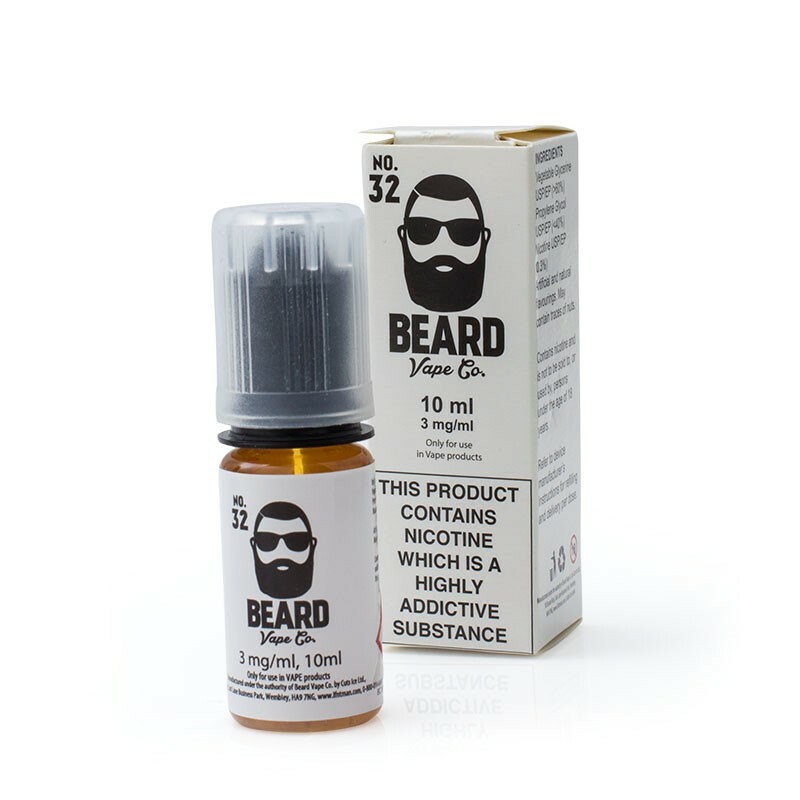 32 E-Juice is available in 10ml bottles and four different strengths. All are supplied with a child-proof applicator. Some of our stock of Beard Vape Co No. 32 is due to expire soon. In light of this fact, we are offering the affected stock with a discount! This offer is only available while stocks last, so act quickly to save!